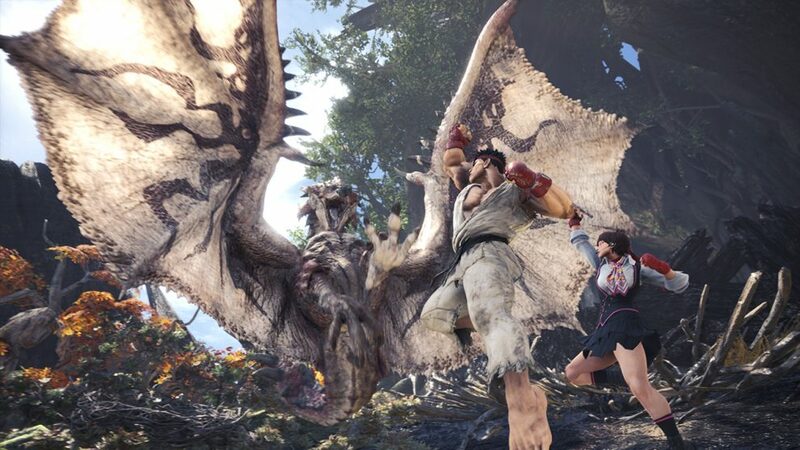 Capcom’s latest offering to the gaming community, Monster Hunter: World was released for the PlayStation 4 and the Xbox One on January 26th 2018. The action RPG has proved to extremely successful and since it’s release has managed to sell more than 1.35 million copies in Japan alone. To add to the madness, the number is not inclusive of digital/online sales of the game. The game follows the player as they take on the identity of a Hunter who travels to what is referred in game as the “New World” to kill or capture the various monsters that inhibit the area. The open world setting of the game, in addition to various other features like a wide variety of weapons, an intriguing story mode, and long playing hours has led to the games in the Monster Hunt series to be extremely popular with console (especially handheld) players. In addition to the chaos that the game is being subjected to, the developers have also recently announced the addition two new skins to the game. The new skins, which the game refers to as armors, let the player assume the role of legendary Street Fighter characters Ryu and Sakura. The armors, which can be ulocked by completing special quests in the game, come as a set and cannot be mixed with any other armors or skins. Both of the armors can be equipped by either male or female characters and as an added bonus, will also change the voice of the player’s character to that of either Ryu or Sakura. In addition, the developers will also be adding chat stamps and character specific moves to the armors in the PlayStation and Xbox online markets. Capcom also announced that any PlayStation 4 player who already has a Street Fighter V save file on their console will get the quest to unlock the armors earlier than others. Monster Hunter: World was released by Capcom for the PlayStation 4 and Xbox One on the 26th of January 2018. The game which has always been console exclusive will also be making it’s way to Windows PC sometime in the fall of 2018.